You can use a power of attorney document to grant someone else (called an "attorney in fact") the right to make legally binding decisions on your behalf. The person who grants a power of attorney (the "principal") must make sure the document conveying the powers meet state guidelines. Some states do require that powers of attorney must be notarized, while other states have no such requirement. Talk to a lawyer for legal advice about the requirements in your state. Regardless of your state of residence, powers of attorney must be granted through writing. Only adults who are mentally capable of understanding the choices they make and who are of sound mind can grant power of attorney. The power of attorney document must detail the name of the principal, the name of the agent and the types of powers being passed to the agent. It must also comply with all requirements established by state law. The principal must sign a power of attorney document before it becomes valid. Some states require that the power of attorney also be signed by one or more witnesses. Furthermore, some states require a power of attorney to be notarized in addition to, or instead of, being witnessed. A principal who is physically unable to sign a power of attorney can direct someone else to sign on his behalf in the presence of witnesses or a public notary. If you are unable to travel to a notary, it may help looking for a mobile notary that comes to you. Some states require that certain powers of attorney be recorded with a state government office. Other types of power of attorney do not necessarily have to be registered with any government office for them to be valid. Some third parties may include this requirement before they act on the agent's directions. For example, a bank may require you to have your financial power of attorney notarized before the bank will honor checks signed on your behalf by your agent. These requirements differ from organization to organization even within the same state and regardless of what the law requires. Do you need a power of attorney notarized today? 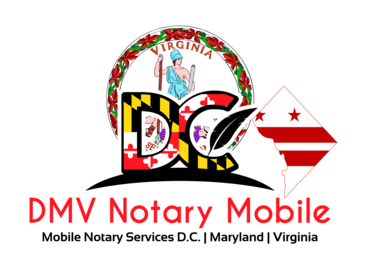 Call DMV Notary Mobile at (202) 826-8179.